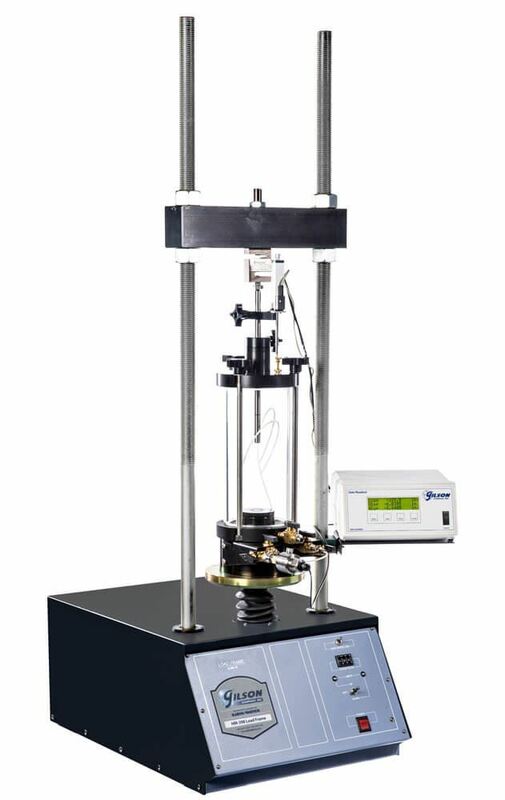 Load Frame, 0.001—0.1in/min, 10,000lbf - Gilson Co.
HM-396 Load Frame, 0.001—0.1in/min (120V/50-60Hz) offers high performance for CBR and LBR testing, as well as soil cement, unconfined compressive strength and triaxial testing when fitted with the required test-specific Component Set. Component Sets are available separately. A jog function increases the speed of platen to the maximum speed of the load frame jack screw (0.1in/min), allowing for faster set-up. 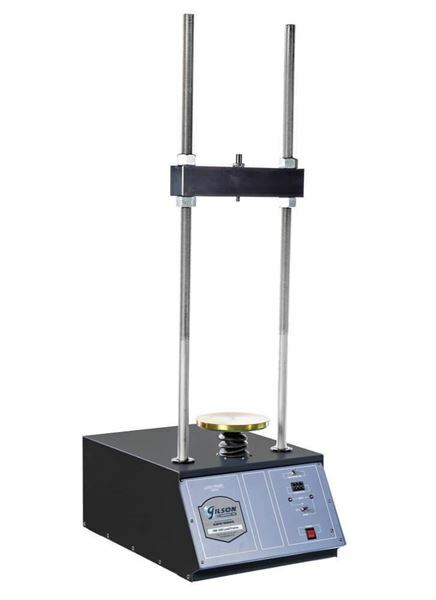 It has a strain rate of 0.001—0.1in/min (0.0254—2.54mm/min). Total capacity is 10,000lbf (44.5kN) with a frame opening of 11.9x37.3in (302x947mm). 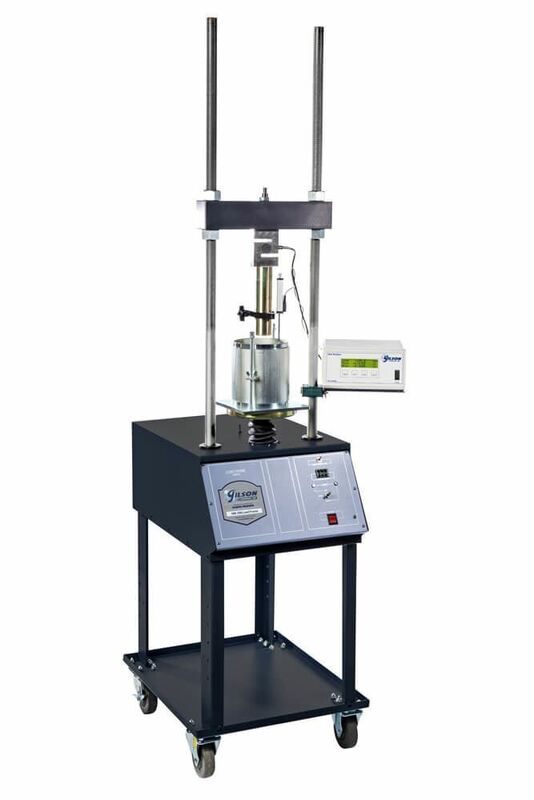 The Load Frame is equipped with a 1/8hp DC motor with controllers to precisely regulate strain rates to ±1% of set point. Horizontal cross-head heights are quickly changed using adjusting nuts. Coarse-threaded 1.25in (32mm) high-strength vertical rods are plated for corrosion resistance. Platen diameter is 8in (203mm). 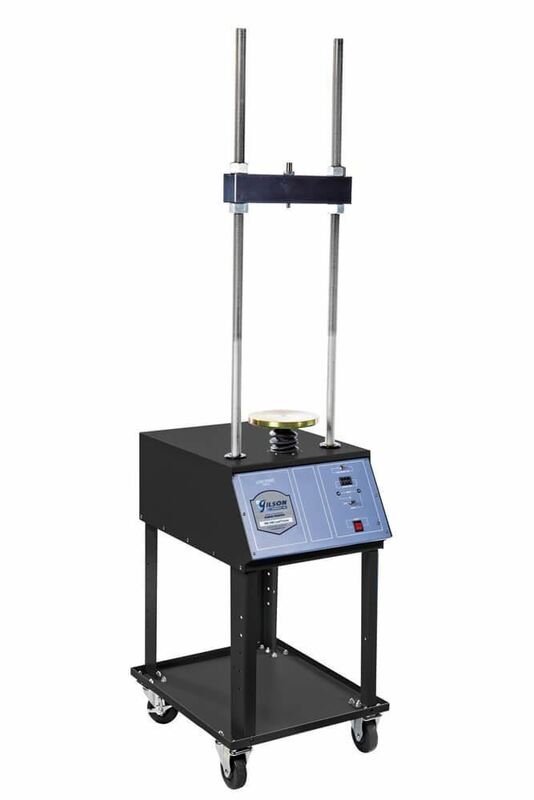 Components are easily changed to adapt the Load Frame to perform other soil testing applications. The sturdy cabinet has a powder-coated steel finish. HM-396F offers the same capacity and features, but operates at 230V/50-60Hz.